A selection of classic shaker kitchens, the Somerset family has been created with durability in mind - making use of such aspects as solid timber door frames built with traditional glue and dowel joints. Practicality has had a large impact on the features of this range. For example, a corner pantry has been included to offer vast storage capacities whilst making the most of the space in the room. Options such as glass fronted display cabinets, a Belfast sink and a choice of contemporary or stylish cornices contribute towards a homely, country feel for all of these kitchens. 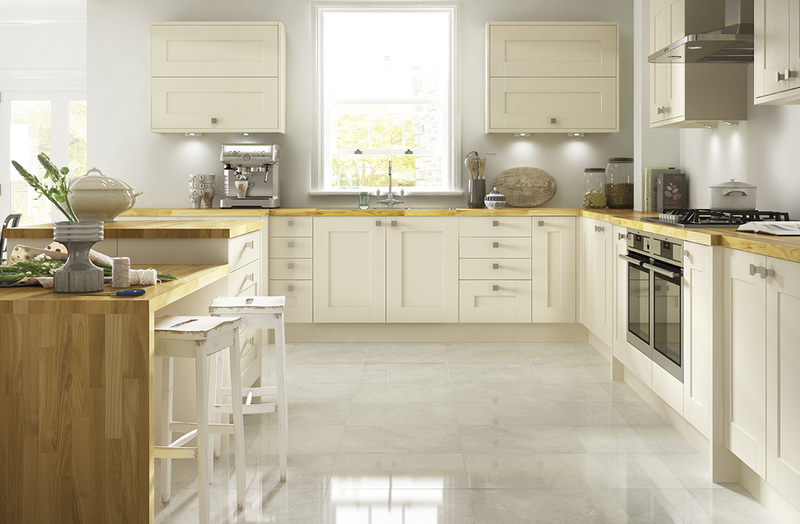 This range also lends itself perfectly to mixing and matching colours within the Somerset family. If you’d like to make your kitchen the heart of your home, look no further than the Somerset family. To find out more, please book a free, no-obligation home survey using the buttons below.